The Bonavista Peninsula is one of the few places in North America where you can get up close to a puffin colony, without having to get on a boat, although, you can do that too if you wish. Bird Island is one of the best places to view Puffins from land in Newfoundland. It’s location is accessible free of cost, but we encourage our visitors to contribute a small amount to the donation box as there is some infrastructure and upkeep required for the site and area. When you arrive at the Puffin site, there is a 5-minute walk from the road to the cliff that faces the island where to Puffins nest. Depending on the time of the day, their mood and the size of the crowd, the puffins may fly to your side of the cliffs. Elliston has become very popular with visitors. 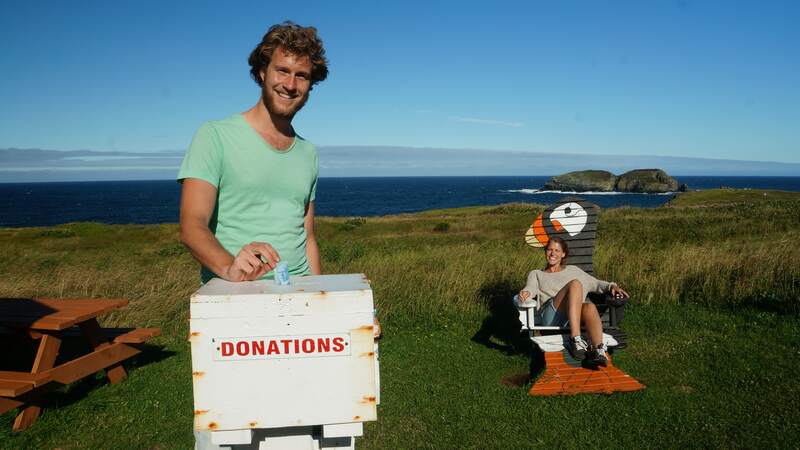 If you would like to experience the puffins in a less crowded environment, we suggest taking a tour with Tuckamore Discovery Tours, or ask the Artisan Inn Staff when you check in where some other, more locally known, spots to view puffins are. The Atlantic Puffin is a pigeon-sized sea bird, the smallest species of puffin. Their black head, back and wings contrast sharply with their white underside, while their blue, orange and yellow beaks and bright orange feet give them a splash of colour. 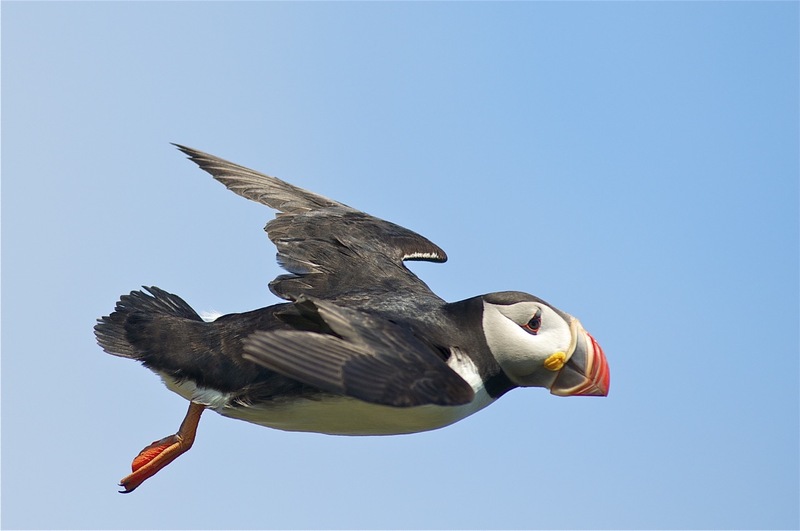 Puffins are poor fliers and evolution has not yet helped them to develop a graceful landing strategy. While not as useful in the air, their wings make them excellent underwater swimmers. 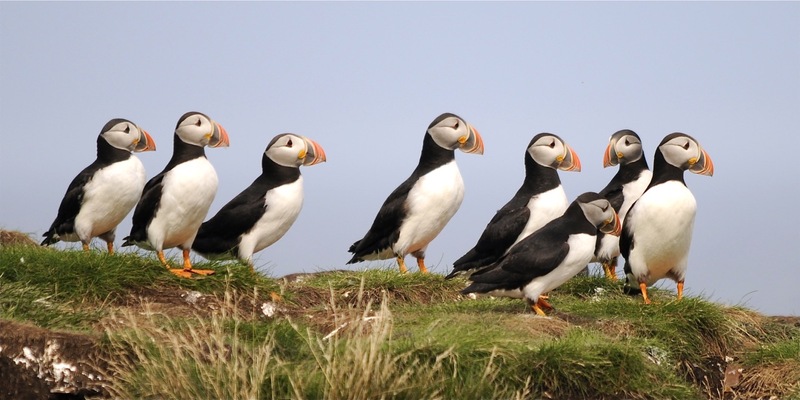 Puffins live for the majority of the year at sea, but come to land to breed and burrow on the Bonavista Peninsula between late May and late August. Puffins normally keep the same mate and burrow from year to year and, on average, live for up to 20 years.